The Redblacks also signed Canadian offensive lineman Philippe Gagnon, American receiver Ryan Lankford and defensive back/returner Troy Stoudermire on Wednesday. Duron Carter excited for ‘fresh start’ in B.C. Also Wednesday, the Lions signed American running back John White to a one-year deal. “John was another primary target of ours heading into this free agency period and we’re ecstatic to bring him into the fold,” Hervey said in a statement. “He runs with power, protects the passer when needed and can effectively catch the ball coming out of the backfield. 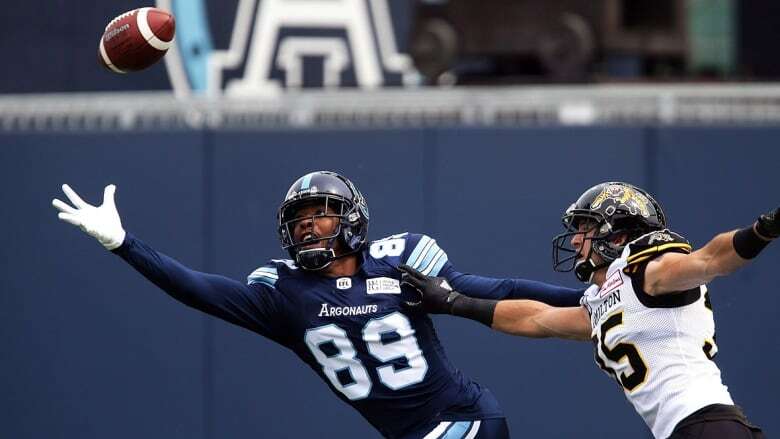 Later in the day, the Argos inked American defensive lineman Cory Johnson, who played for Winnipeg the past two seasons, and running back Tyrell Sutton, who split last year between Montreal and B.C. Sutton ran for 685 yards and three TDs combined in 2018 while adding 35 catches for 341 yards. The six-foot-three, 211-pound Watson spent last season with the B.C. Lions, registering 38 catches for 406 yards and three TDs. Watson, 34, is entering his ninth CFL campaign having also spent time with Winnipeg and Edmonton.